If your party isn’t all about love and acceptance, thank you, but no thank you. 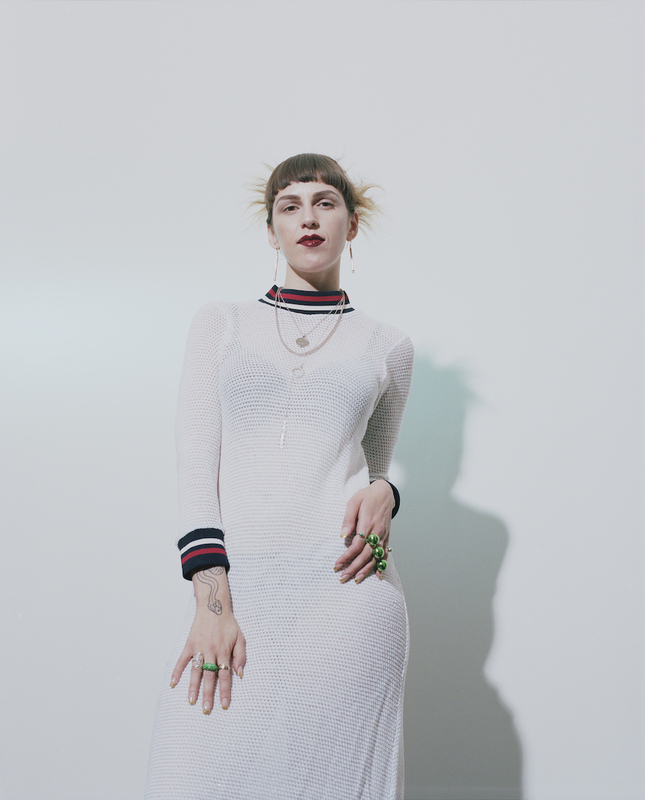 “I think raves are an exercise in imagining and creating the worlds we want to live in” shares Brooklyn-based producer, DJ and cultural activist RIOBAMBA, and we couldn’t agree more. The Ecuadorian-Lithuanian artist is someone whose deeply researched sets put to practice nightlife’s power as a tool for resistance, with her multifaceted approach to club music paving a re-imagined path for what the future of Latinx sounds can be. 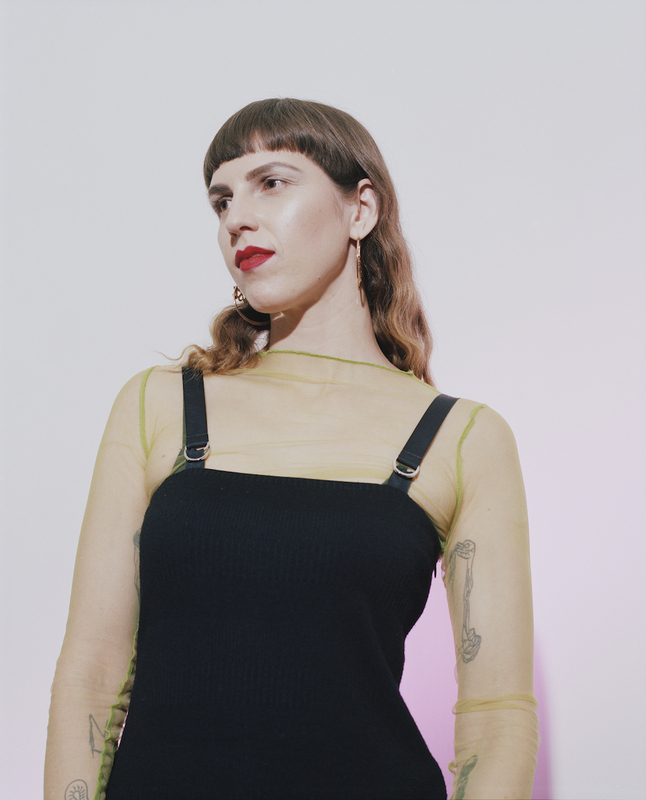 Beyond the DJ booth, RIOBAMBA is a member of techno-feminist collective DISCWOMAN, a co-cost of Red Bull Radio’s monthly Bien Buena show and a founder of record label APOCALIPSIS. What underlies each and every one of her creative endeavours is the belief that oppression can be overthrown, histories can be rewritten and knowledge can be reclaimed; it takes coming together, listening to each other, sharing resources and knowing our power. 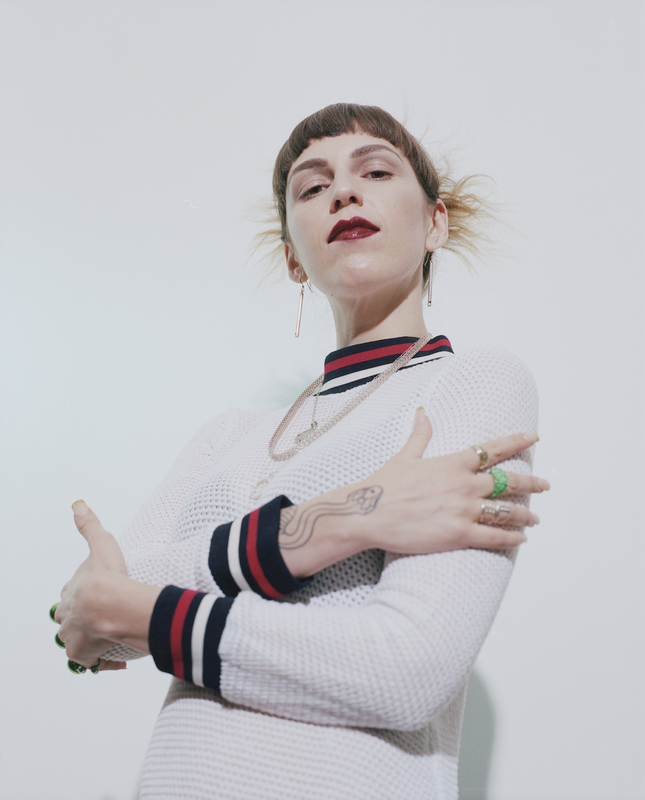 As you’ve gathered already, RIOBAMBA is a living and breathing embodiment of the concept behind our Rave Revolution series. 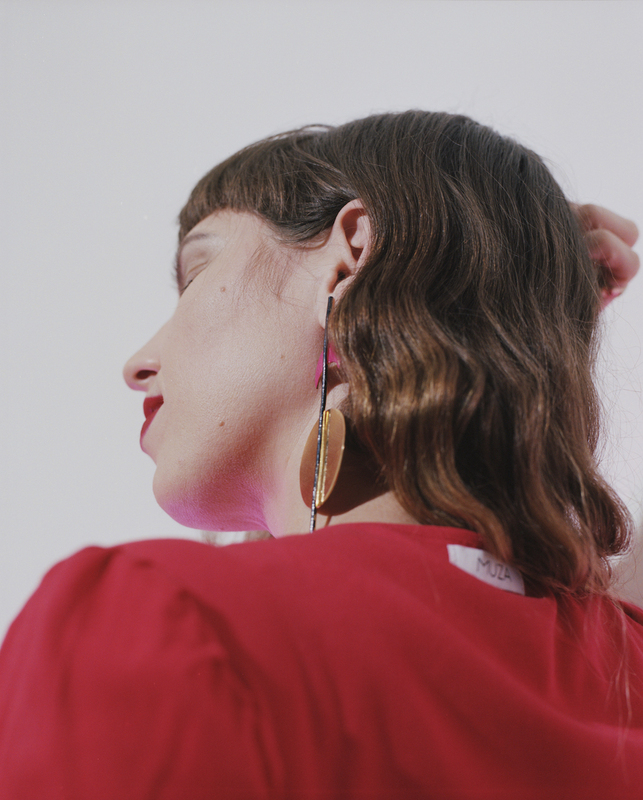 Below, Glamcult and the artist chat about her background, creative process and thoughts on the power of sound—knowledge and experience we’re humbly honoured to feature as part of this ongoing project. Can you recount the first ever rave you went to? What was it like? I’m not sure about a rave experience in particular, but one of my favourite early memories of going to a show was at age 14, when I went to see my first punk/noise show in a DIY former doctors’ office space called The Flywheel in Easthampton, Massachusetts. That experience sparked something in me; seeing what we can create with whatever resources are at hand. Is that when and how you realized there’s something more to music than mere sounds or endless partying? Yes, I think it was the sense of community that going to shows gave me early on. Similar to the way I felt in family spaces growing up in the Ecuadorian immigrant community in Massachusetts. These were autonomous spaces that were healing and joyous and delinquent all at once. In an interview with The Fader, you mention that “music and community are inseparable things”. Can you tell us more? I believe that when we don’t take a comprehensive approach to studying music, understanding its origins, histories and the communities it comes from, then we’re at risk of erasure and of taking ownership over things that aren’t ours. Likewise, especially in our current times when the Latinx community and communities of colour are reckoning with institutionalized racism and xenophobia, amplified even more by the Trump administration, if there’s an opportunity to speak out on these issues, then it’s important to use any platform we have to do so. Coming from an Ecuadorian-Lithuanian background, being born in Massachusetts and having studied in Latin America, I assume you’ve been exposed to an incredible variety of both musical genres and community structures. How do some of those interact within the work you do right now? In what ways do communal structures inform music, and vice versa? I can speak most specifically to my experience in reframing my practice as being rooted in my output as an artist and performer, as much as also learning the ins and outs of the business side of things. I like to imagine non-hierarchical ways of working, of sharing knowledge and resources instead of competing. It’s an abundance mindset—there’s room for all of our lanes and we can find ways to support each other’s development. Listening to your mixes feels like a sonic trip along myriad paths of references and sources of inspiration that you draw from. How does your research process unfold? Where do you start and how do you know when a piece of work is done? It’s different in each case, but I do like working conceptually—thinking about what statement I’d like to make first and then finding the references, clips, samples that support the message. I don’t know if I ever feel totally done with a project, but having a deadline is that external pressure I need in order to know when to call it quits. Many might think it’s easy to be confident when your heritage is so rich and diverse, but most often that’s not the case, especially in the socio-political climate we’re in right now. How did you gain confidence in yourself, and why is that important to the work you do? Offline time is essential. (Blood and chosen) family time is essential. Self-care and self-love is essential, putting in the work for myself outside of anything to do with the industry. Boxing has become the most essential, for transmuting and releasing stress. Your own work draws from both the underground and the mainstream. Is there a line that divides the two, do you think? The only line that divides the underground and mainstream is resources. When and how do raves and music become active agents in social and political change? I think raves are an exercise in imagining and creating the worlds we want to live in. Who is cantered in the space? Who is being compensated and how well? How can we strive toward safe spaces? What is soundtracking these imagined futures? Then would it be far-fetched to say that raving is a way to reclaim lost histories of those communities, whose voices and thoughts have been long ignored and erased from hegemonic discourse? I think that it’s part of the reimagining. For me, it’s reclaiming histories, rituals and knowledge that were lost in the process of assimilation and migration. You run your own record label, APOCALIPSIS. Can you briefly tell us about the steps you take within the label so that positive change can be experienced within Latinx communities and beyond? I think it’s about finding the right balance between knowing when to speak up, and also when to fall back and listen. APOCALIPSIS is rooted in creating infrastructure for press, distribution, merchandise, events, etc. ; to support and amplify people telling their own stories. You were also a music teacher at the juvenile detention center in Brownsville. Can you tell our readers more about this project? I was hired as a teaching artist to provide education at the juvenile detention centre, and the educational programming is facilitated by an organization called the Centre for Community Alternatives, which ‘is a leader in the field of community-based alternatives to incarceration’. It’s no secret that in the United States, the criminal justice system is by design an oppressive system that disproportionately targets communities of colour. I believe in prison abolition, period. We’re also interested in hearing your thoughts on representation and intersectionality becoming marketing tools. Is visibility important regardless of the intention behind it? What’s a side of the story we might be missing out on? It’s important to know our power, and the leverage that we have in these spaces. It’s up to each individual to decide how to navigate that and to choose opportunities that they feel aligned with or accurately represented by. Photography by Guarionex Rodriguez, Jr.